Hello crafty friends. 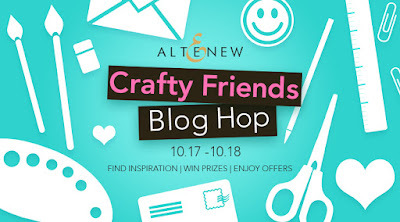 Welcome to the Day 2 of Altenew Crafty Friends Blog Hop. What a great event! I am so happy to be a part of it. 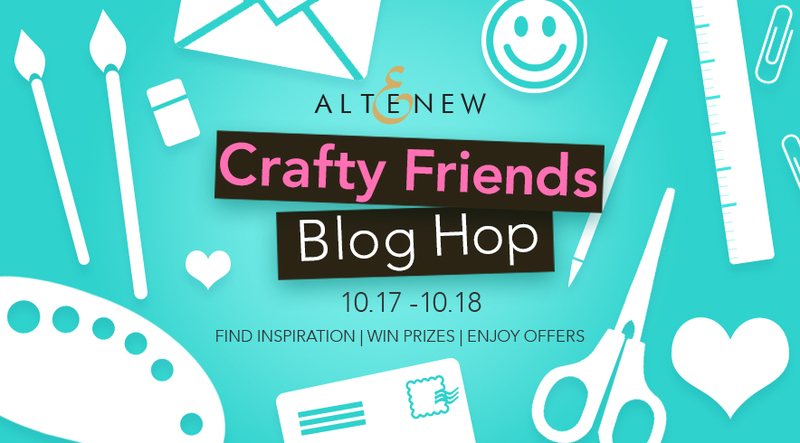 I consider myself as a crafty person with a lot of crafty people around me so this blog hop is just perfect for me. You came here from Nichol Spohr. If not - start from the beginning here >>> click. I prepared three projects to share with you today. They are all made with love for paper and crafting. I also used a bunch of fantastic Altenew products. What would be a blog hop without a prizes? Altenew and friends prepared a fantastic bunch of goodies for you to grab. 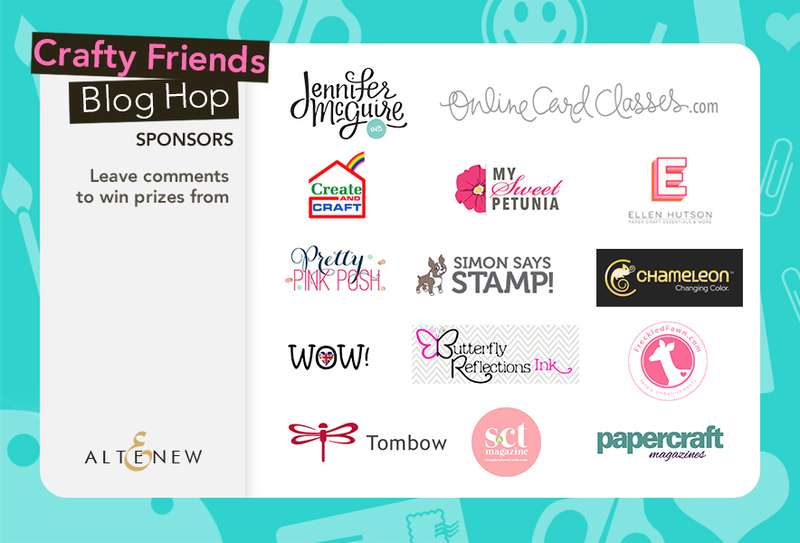 And this is how the whole list of Blog Hop Day 2 looks like. What adorable cards, the kids are so cute. Love the flowers and the cat, of course! Such pretty cards and amazing layouts. Thanks for sharing. Amazing pages. Love the details. Great work. Loved the layouts. Thank you so much for sharing. Wow! Your cards and layouts are awesome! I love this crafting community and the fact that it can bring people together from all over the world. I have "met" some wonderful friends in places like Florida (USA) and even New Zealand! That's a whole lotta happy! Thanks for sharing your talents today. Love the watercolour flower set ... such beautiful cards ... and 2 layout too. Spoiling us for inspiration. Lovely card and special layout pages. Fantastic colors! Love all the beautiful, bright, happy colors on your cards & layouts. Those layouts are really cool! Wonderful projects! I really like the hello layout. So colorful and fun! the cards - the layouts - all so gorgeous!! love your layouts! The swimming one is my fave! You used one of my favorite stamps! Totally STUNNING!! I love the cards-they look like you bought them from the store!! Your layout is fantastic as well! So many gorgeous projects! I love how you combined the stamps/dies/patterned papers! Beautiful clustering on the layouts! I love all the layers of your scrapbook page as well as all the other projects. Amazing! Wonderful designs Anna, love the pretty colors and elements you chose for each. Thanks for the wonderful inspiration! WOW!!! Your Cards are fabulous!!!! Such great layouts! Those cards are so pretty all that color is amazing! Beautiful cards and scrapbook pages. I love how you used the keep calm and make cards layout and I even liked that you said to stay calm and float! Calm is a good things to keep. Such fun ideas. I love the crafty stamp set. Altenew has such wonderful product. Just love them. Both of your cards and first layout are amazing! So fun and the colors are so pretty! Your final layout is my absolute favorite! Love the sweet picture and the riot of beautiful colors with the background prints makes my heart sing! TFS! LOVE the cards and page layouts, GORGEOUS color combo with one of my all time favorite sets, Watercolor Wonder. All of your projects are wonderful! The Happy Girl layout is my favorite! All three projects are gorgeous but the second one is just so cute it melts my heart. Your swim layout is adorable! Very well done. I like your page layouts. Thank you for sharing. Love your cards and layouts. Flowers, Flowers, everywhere! Love these projects! These are all awesome! I especially like that pool layout with all of those little summery elements to go with your adorable subject. Love these fun and bright projects!!! I love your two cards! Love the colors too. Oh my ! So many gorgeous creations !! Oh wow, these are amazing! I especially love your card designs (probably biased, but I'm primarily a card maker myself).... They must be some of my favourites from this whole hop! My eye was completely drawn to the hot pink/gold words.. gorgeous! These are such beautiful layouts and such fabulous creativity!! Layers of gorgeousness! What pretty cards and layouts Anna. A fantastic job on everything! Love seeing layouts!! Just fabulous! Fabulous!! Your cards are lovely! Your layouts on your pages are great! 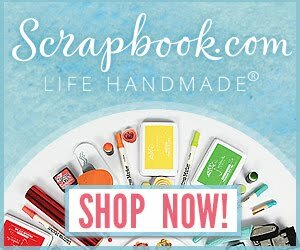 I just never thought about using my card making tools and supplies for scrapbook pages. Your very happy and pretty pages are turning new ideas in my head. Great inspiration! All are so bright, pretty, and cheerful! Love your color combs. Awesome projects. Lovely card. . .the scrapbook layouts are delightful, so fresh and inspiring. Thanks for sharing! Great projects. I especially love the Just Float and Relax layout. Your cards and layouts are simply beautiful! I especially love the "float" layout page. Love, love, love your layouts! So many great details that just draw the eye around the whole page. Your card is delightful as well! I love your layouts, so many things to look at! Your cards are awesome and beautiful. The colors you used in both cards and pages are wonderful! So beautiful! Love the pretty colours! Lovely card and your scrapbook layouts are both colorful and cute. Love these fun and bright lay out and I loved reading your story! Beautiful cards and I love your layouts! I really need to start using my stamps more on my layouts. Your designs really inspire me! Awesome projects and stunning colouring!!! Wow, beautiful cards and layouts - such happy colors! Nice card and very pretty layouts. card - my feelings exactly. Your cards are so pretty and your layouts are stunning! Love the bright pretty colours you have used to create the beautiful blossoms. Lovely cards! Fun and pretty layouts for the cutie-pie!! Lovely colors on the card! 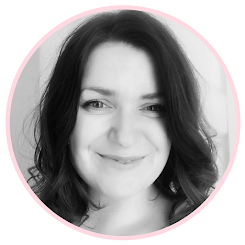 Beautiful last post of a great bloghop, full of inspiration ! You have an incredible style! Loving your cards and layouts - they are so fresh and bright. Your card and layouts are very unique. Thanks for sharing! These are all fabulous!! I'm a cardmaker, so of course, I love your cards; so pretty with those soft florals! BUT your layouts are gorgeous!! I specially love the second one with the beautiful scripty "hellos" down the side!! Beautiful colors and great use of mixing the mediums. These are all so pretty! You have a wonderful sense of space and color! Beautiful cards and layouts! The colors are so happy and the stitching adds a cheerful touch. Thanks for sharing. Beautiful cards and pages! Love your mix of elements to create these pretty projects! Your pages and cards are beautiful works of art! Thank you so much for sharing. Wow! What a beautiful collection of art projects! I love the colors you used in the cards and the layouts are just stunning! Great work, beautiful! I love the "float and relax" page so gorgeous. It's fun to make memories for your children and let them know they matter. Just like friends. Such beautiful projects. I love the stitching on the cards - reinforcing the "craft" theme. Beautiful and stunning creations..I loved all those bright colors!!! Your cards and layouts are gorgeous! Gorgeous cards and layout! The colours are so pretty and the pink stitching makes me want to get my sewing machine out now! I love your designs. Just beautiful! Love the card and the layouts. Very beautiful. What fabulous cards and layouts. Love the way you use all of the elements. Glad to find your blog. Your card is beautiful but your layouts are to die for! They are just stunning! Thank you for sharing! You've been busy creating some amazing projects! Your cards are beautiful but your scrapbook pages are gorgeous and out of this world!! The colour combinations on both of them are wonderful and like the contrast of soft colours on one and bright colours on the other. And all the small details þake it to the next level. Love them both! Wow you made so many amazing projects...love the vivid colours.